Because i like the easiness of RetroPie for adding emulators and system updates, i'm working on an image that would work directly with ArpiCade. How well does RetroPie work on vertical CRTs? I have a cocktail cabinet. Regardless, I'd like to try it out! Please post a link once ready. I'm curious if anyone has completed a merge of retropie and ArpiCade software. 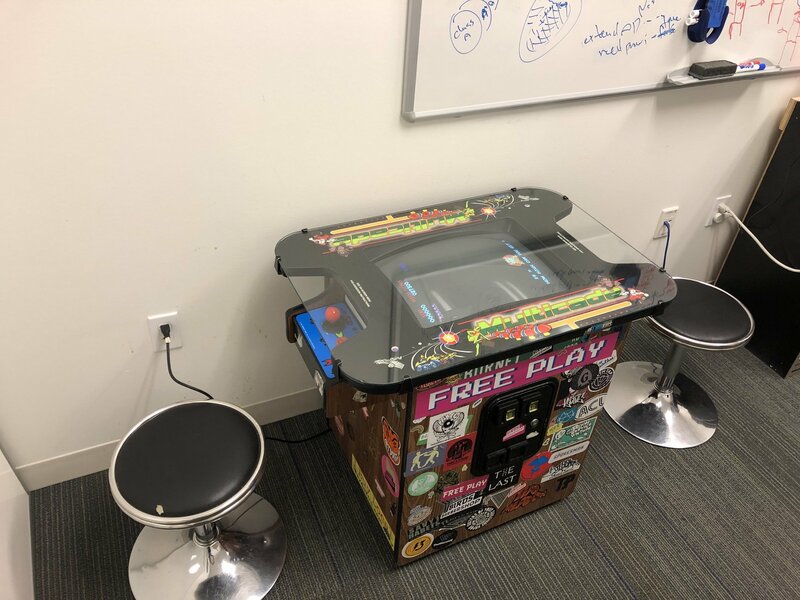 I am installing in a vertical cocktail cabinet (Multicade) and would like to use RetroPie on top of ArpiCade. Any guidance appreciated. A couple of years ago I released a version of RetroPie for RaspberryJAMMA. It's still online somewhere I think but wouldn't support the current Pis (can't remember if Pi3 was out yet it may only support Pi2 and earlier). I can try to find the links if you're interested let me know. If you're keen not to use ARpiCADE as the software I'd recommend Recalbox, there's a version for RaspberryJAMMA done by a member here called Ouaibe (see here: viewtopic.php?f=12&t=541 ). What feature of RetroPie are you after? Both RetroPie and ARpiCADE are based on Raspbian so a lot of stuff is compatible between them both (generally but not always). Attempting to use the RetroPie install script on top of ARpiCADE would not be recommended though, it would almost certainly just result in a borked SD card. If it didn't completely break the build you'd end up with 2 separate installs of Retroarch (and the cores) with none of the RetroPie bits actually integrated into the system. So far a big improvement over the 60-in-1 board that came in this cabinet. I haven't even loaded any games into the image, either, and I'm seeing a huge improvement!